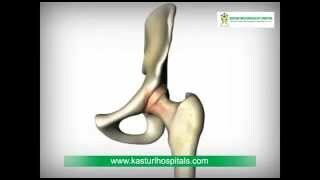 Kasturi multispeciality hospital was established in the year 2011, by Dr.M.kasturi MD,DGO senior Obstetrician and Gynecologist & Dr Sushanth MV MS Ortho MSc Ortho UK consulting Orthopaedic Joint replacement and sports medicine surgeon. The hospital was established to provide high quality medical and surgical care customized for individual patients needs. It is a 50 bedded hospital, with in house laboratory services, X-Ray , Ultra sound scanning. An ultra modern operation theatre complex with laminar airflow systems the latest equipment and machinery for all types of anesthesia, orthopaedic trauma surgery, joint replacements, arthroscopy(key hole surgery),spine surgeries, laparoscopy, Obstretic & Gynaec surgeries,ENT Surgery, Urology, surgical gastroenterology, plastic&cosmetic surgery, paediatric surgery and so on. The department of OBGYn has a modern labour room conducting painless epidural deliveries, high risk pregnancies, twin pregnancies. The hospital also has allied specialities such as Paediatrics, Cardiology, Diabetology, Endocrinology, Medical gastroenterology, Nephrology, Dermatology & Physiotherapy. Expert joint pain specialist in telangana provides treatment for all types of joint pains.We have a excellent team of well experienced staff nurses, duty doctors, female and male. helpers to make the patients stay as comfortable as home.The hospital is centrally located in Hyderabad close to the Secunderabad railway station, the airport pick up point,the metro station and main bus stop. The hospital has ambulance services and travel desk.